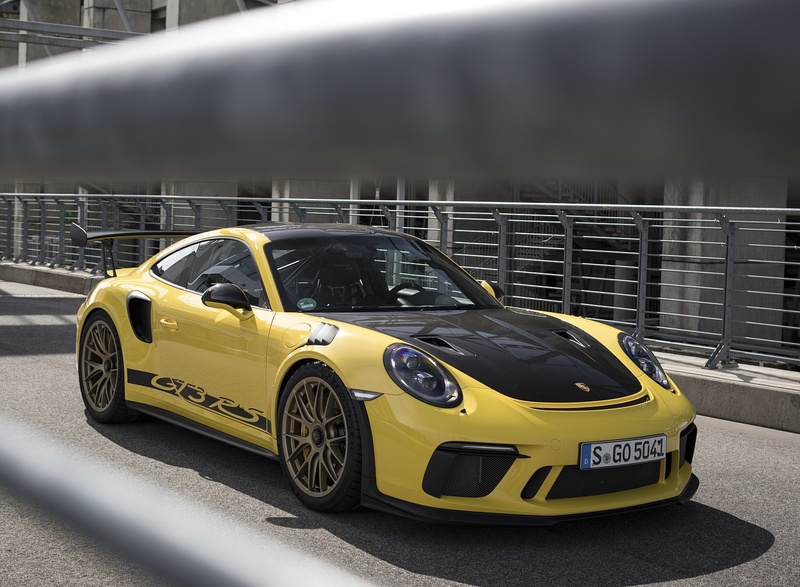 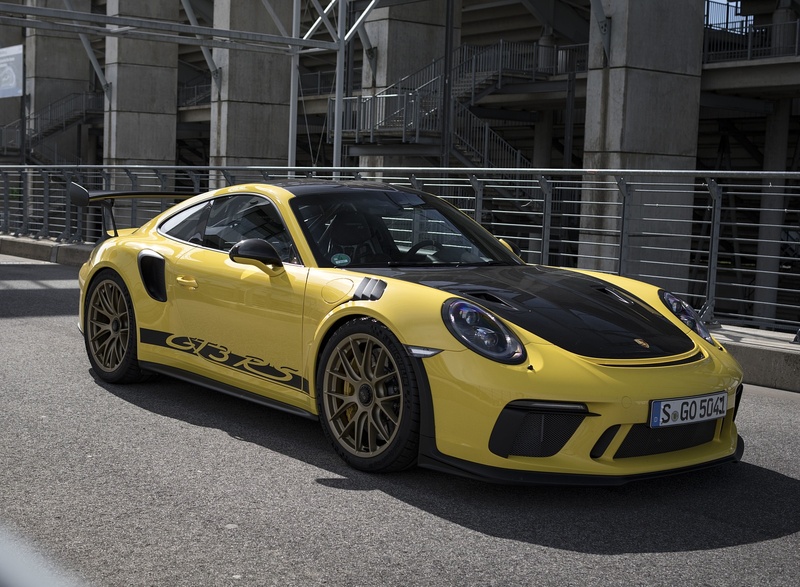 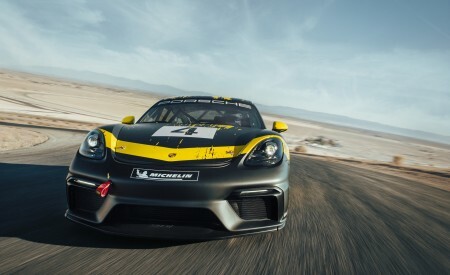 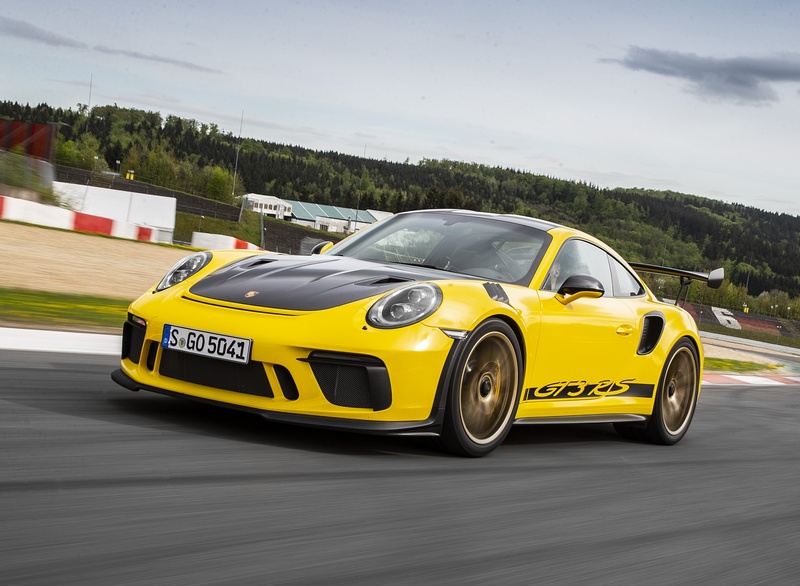 The Porsche motorsport department is presenting Weissach’s latest treat at the Geneva Motor Show: the 2019 911 GT3 RS with a race-bred chassis and a high-revving four-liter, naturally aspirated engine producing 520 horsepower and 346 lb.-ft. of torque. 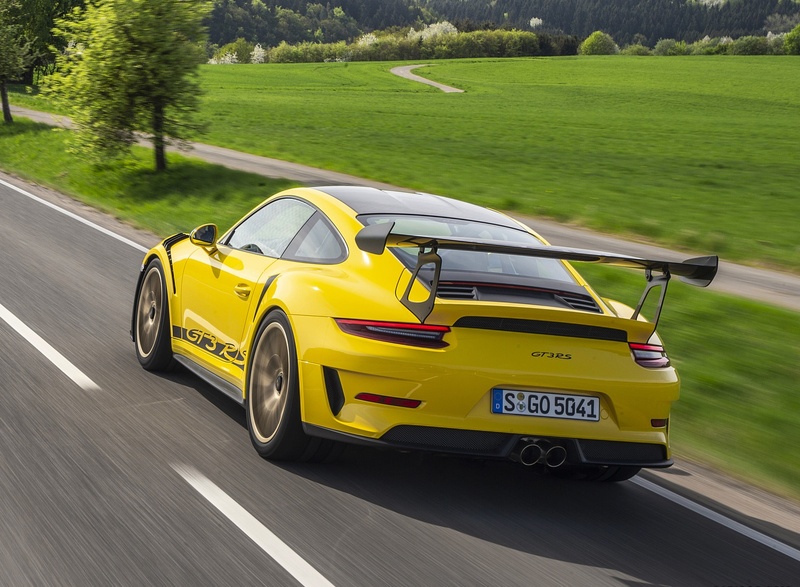 Based on the 911 GT3, the RS has been refined even further, combining the most powerful naturally aspirated engine ever fitted to a road-legal 911 with a suspension that features recalibrated rear axle steering tuned for maximum dynamics and precision. 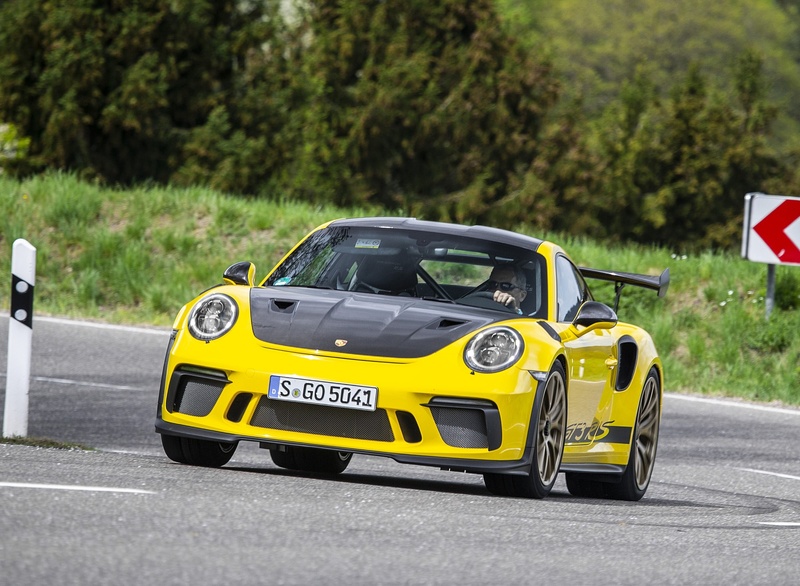 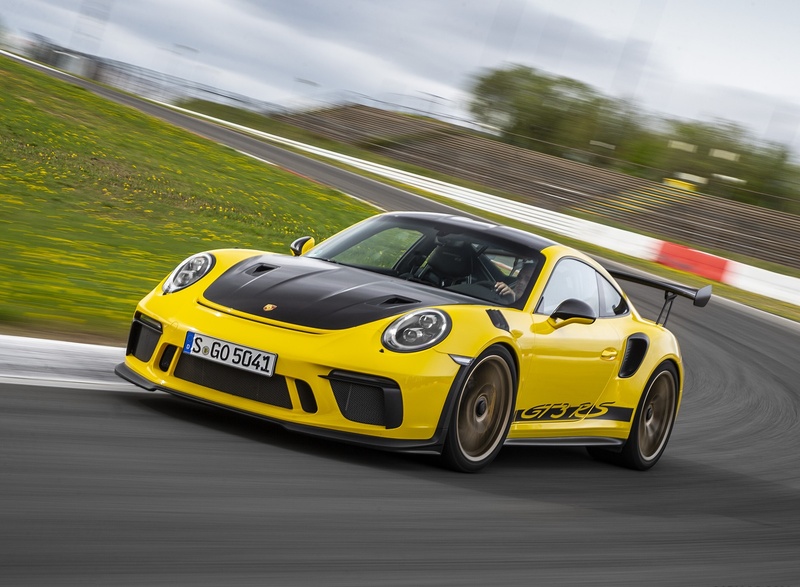 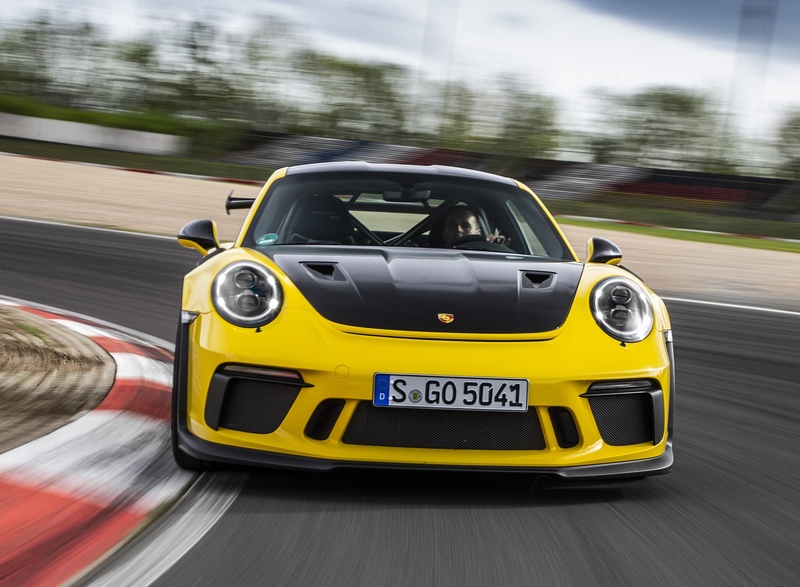 The new 911 GT3 RS accelerates from 0 to 60 mph in 3.0 seconds, which is 0.2 seconds quicker than the current 911 GT3 with PDK and 0.1 seconds quicker than the previous 911 GT3 RS. 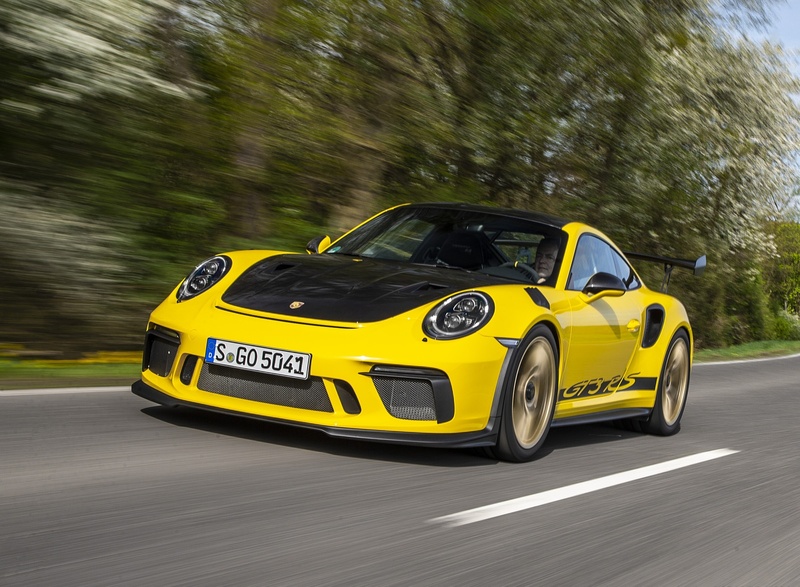 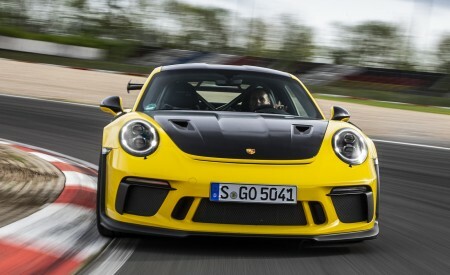 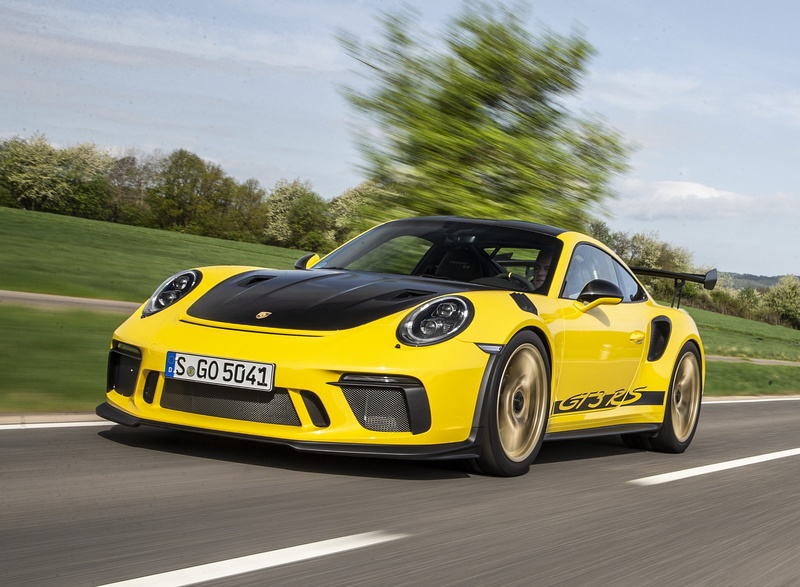 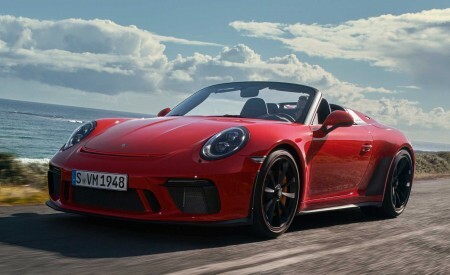 Top track speed of the 2019 911 GT3 RS is 193 mph. 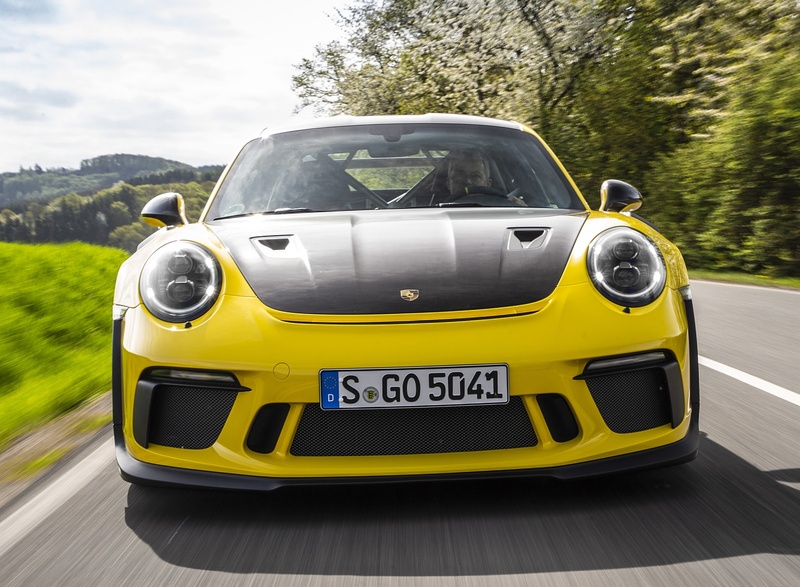 Following the launch of the 2018 911 GT3 and the 2018 911 GT2 RS, the new 911 GT3 RS represents the third road-legal GT model to be unveiled within a year. 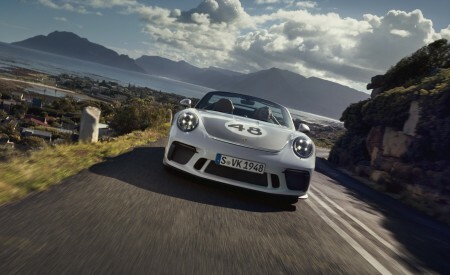 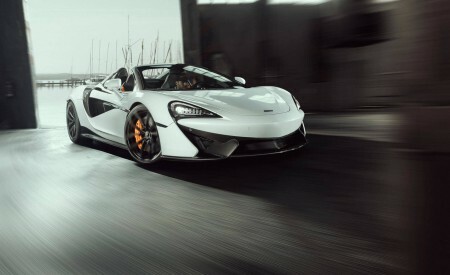 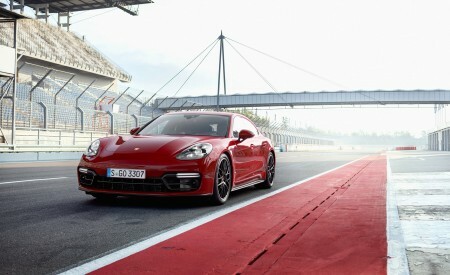 Technology derived from motorsport ensures that the chassis offers exceptional driving dynamics. 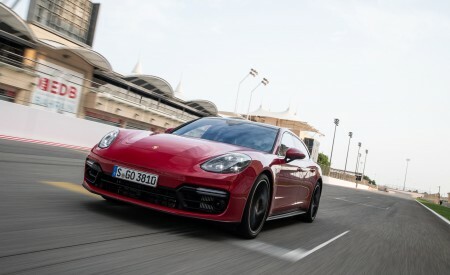 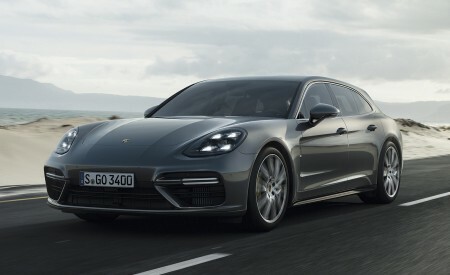 Porsche Active Suspension Management (PASM), active engine mounts, rear axle steering, and the fully variable electronic locking rear differential with Porsche Torque Vectoring Plus (PTV+) are standard. 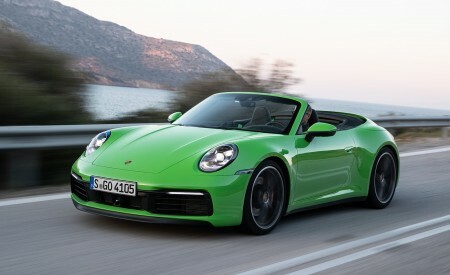 Ball joints on all suspension links provide even greater precision than conventional bearings with rubber bushings. 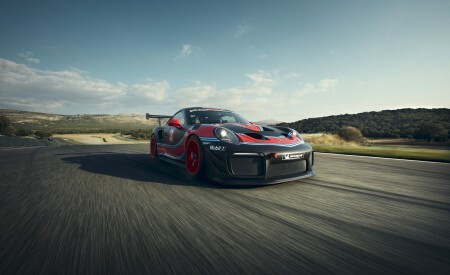 Furthermore, the new 911 GT3 RS features new helper springs at the front axle, in addition to the rear. 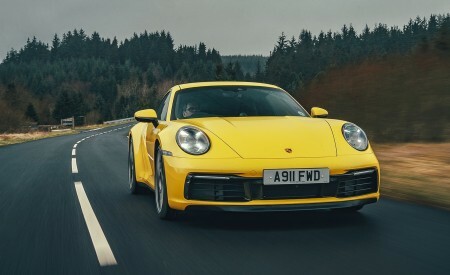 As is customary for a Porsche GT model, the ride height, toe, camber, caster and sway bar settings of the suspension can be adjusted to suit individual driver preferences. 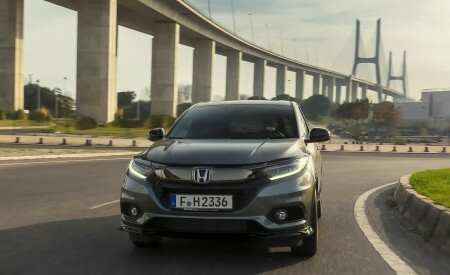 Forged lightweight wheels measuring 9.5 x 20 inches in diameter with newly developed 265/35 ultra-high performance (UHP) tires enhance agility and steering precision, while 12.5 x 21 inch wheels with 325/30 UHP tires mounted at the rear deliver excellent traction. 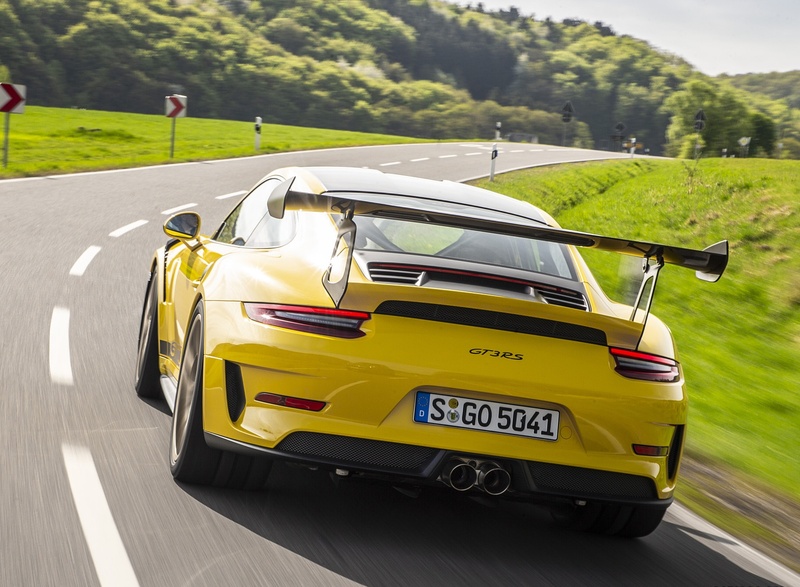 Overall, the wider tires offer a significantly larger contact patch than those of the regular 911 GT3. 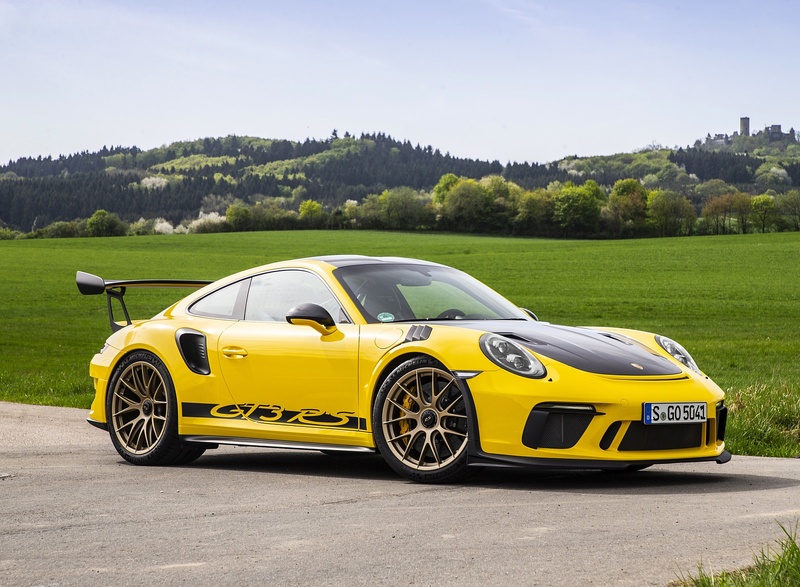 Large cross-drilled grey cast iron rotors measuring 380 mm front and rear are standard, while the Porsche Ceramic Composite Brake system with 410 mm rotors at the front and 390 mm rotors at the rear can be ordered as an option. 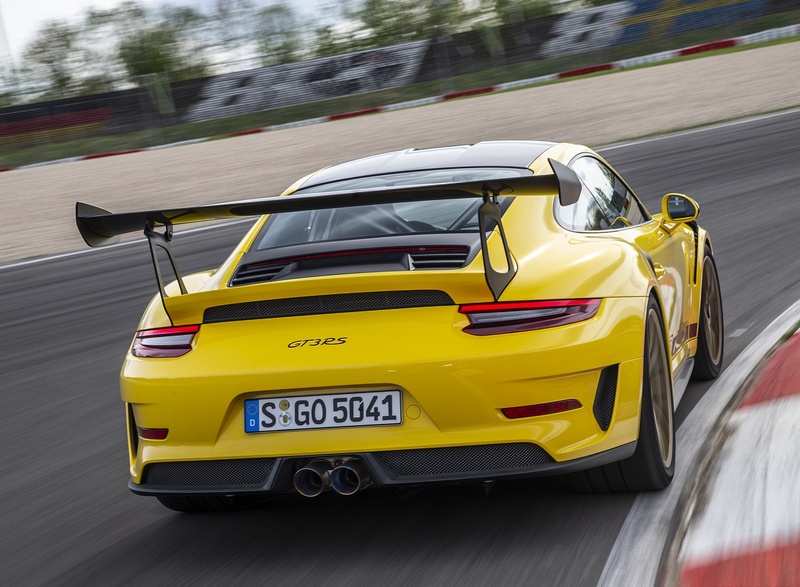 The ceramic rotors weigh around 50 percent less than the cast-iron variants.